This product is available in Ebay, Tatacliq, Amazon.in. 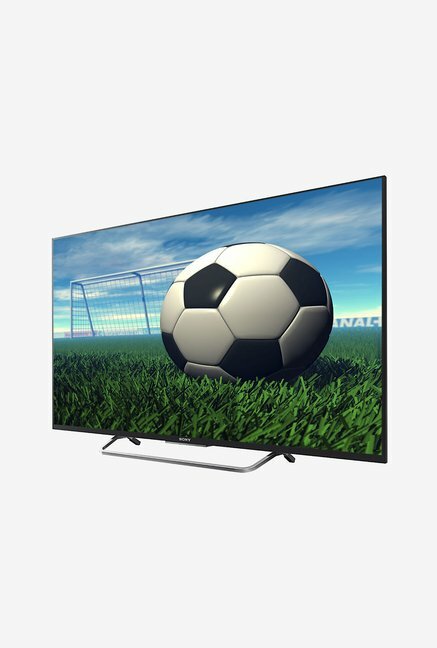 At amazon.in you can purchase Sony 138.8 cm (55 inches) Bravia KDL-55W800D Full HD 3D LED Smart TV for only Rs. 114,900, which is 4% less than the cost in Tatacliq (Rs. 119,196). 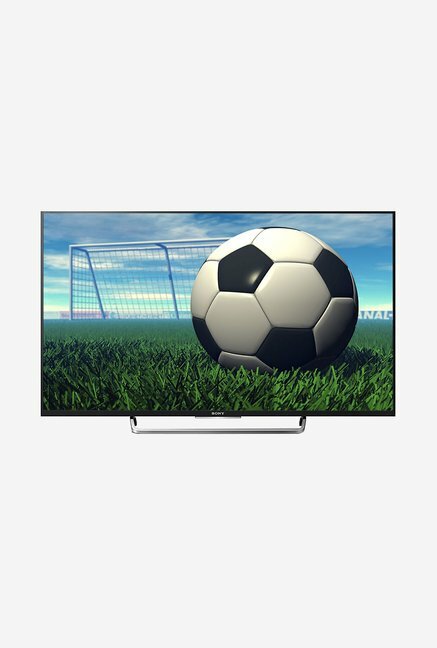 The lowest price of Sony Bravia KDL-55W800D 139cm Smart 3D LED TV (Black) was obtained on April 24, 2019 9:38 am. Enjoy movies, music,games, online content with Sony’s Android TV. Whatever you’re watching, whatever the source, everything is optimized for an immersive Full HD experience.The amazing Slice of living design accentuates your TV viewing to a new level. Experience our stunning Full HD picture quality, whatever you’re watching across all your entertainment. 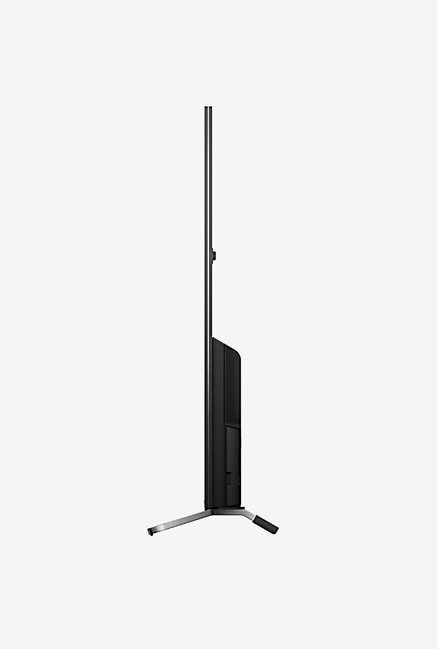 From Blu-ray Discs and regular TV broadcasts to low-resolution web videos and smartphone clips, you can see it all in perfect clarity on the big screen with this BRAVIA TV. Discover a thrilling world of extraordinary clarity, whatever you’re watching. Every single pixel is upscaled beautifully by our powerful picture processing engine, while individual parts of each scene are analysed and matched with a special image database that independently addresses texture, contrast, colour and edges giving best colour, contrast and sharpness. Enjoy dramatically reduced picture noise for the truest quality of Full HD. BRAVIA is Google Cast ready so you can easily cast your favourite entertainment like YouTube from your personal device on to the stunning BRAVIA screen. You can cast from Android, iOS or your laptop. Once you Cast, carry on doing what you want to do, while video keeps on playing on BRAVIA. Spend less time browsing, and more time watching. Voice search on Android TV provides you with the power of Google search, allowing you to find content across different services without the hassle of time-consuming text entry. Voice Search even your DTH channels or Programs. Don’t miss a thing while you’re absorbed in your favourite show. Download the Notify BRAVIA app from Google Play to your smartphone, and get instant phone notification on your BRAVIA of call notifications, text messages, social apps and more while you are busy watching TV, away from your phone. Watch your favourite TV shows anytime from a wide variety of regional and national channels, with our exclusive catch-up TV app. Intuitive navigation lets you easily create personalised playlists, assign favourites and organise shows by channel, episode or language. The unobtrusive Content Bar quickly lets you find the movie, TV show or video you’re looking for. Call up the Content Bar and you can keep watching while you scan through live TV, videos on demand, downloaded TV shows and much more. You can even customise the content bar to show you the content you go to most often first. IR Blaster lets you now control your DTH box and TV with one remote. Simply use your BRAVIA remote to seamlessly explore TV broadcasts from DTH, Internet videos & contents or BRAVIA’s functions like Content Bar, Voice Search, Google Play etc. Sony’s exclusive Inbuilt Program Guide lets you easily access your DTH program guide directly from TV remote. Explore upto 1 week of DTH program schedule and switch directly to your favourite TV Programs. Enjoy smooth and sharp details even in fast-moving sequences with Motionflow XR. This innovative technology creates and inserts extra frames between the original ones. It compares key visual factors on successive frames, and then calculates the split second of missing action in the sequences. A very good TV for it’s cost. It is having Lots of features. Picture clarity is high.